December 2014: Every decade in a woman’s life comes with a changing set of priorities. It also comes with a changing set of skincare needs. To look your best at every age, you need to address the skincare needs specific to that age. L’Oreal Paris, the world’s largest beauty brand, just made it easier for Indian women to do that by developing a range that does exactly that. 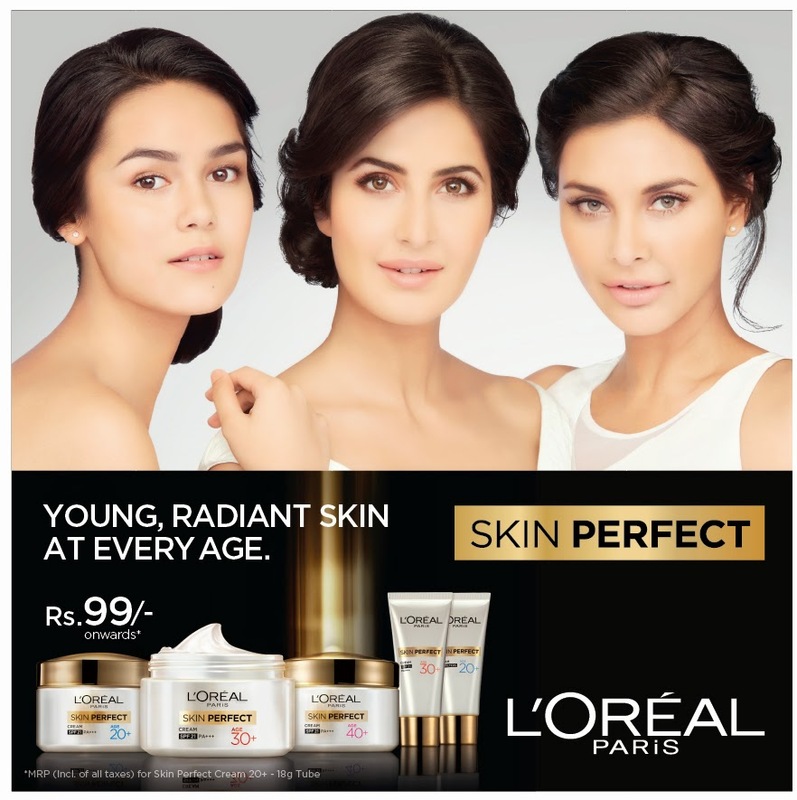 L’Oreal Paris Skin Perfect, is a revolutionary skin care range backed by 10 years of extensive research at the Global and Indian L'Oréal Research and Innovation Labs. Personalizing your skincare at every age was never so easy! With high performing active ingredients L'Oréal Paris Skin Perfect offers a unique sensorial experience with visibly beautifying results. Each product from this range is scientifically crafted with the most enriching ingredients that can fortify and replenish the vitality of the skin. The range has been formulized to give visible results within 4 weeks of usage. L’Oréal Paris Skin Perfect uses superior Vitamin 3x Technology through this range that combines Vitamin B3, Vitamin C and Vitamin E well known for their skin enhancing properties along with deep whitening actives that work on improving skin tone to give you healthy looking skin at any age. Age 20+ Skin Perfect Range comprises of a day cream along with cleansing foam. Combined with Perlite and Salicylic Acid it helps keep oiliness, pimples and blemishes at bay through your twenties while giving you that perfect clear skin glow. The 18g Cream is priced at Rs 99, 50 g Cream is priced at Rs 325 and the Cleanser is priced at Rs 105. Age 30+ Skin Perfect Range comprises of a moisturizing cream along with cleansing foam. Both contain Pro Collagen which is perfect for fighting those fine lines that begin to appear in your thirties, giving you younger, glowing skin. The 18g Cream is priced at Rs 149, 50 g Cream is priced at Rs 425 and the Cleanser is priced at Rs 135 . L’Oréal Paris is a truly global beauty brand combines the latest in technology with the highest in quality for the ultimate in luxury beauty at mass. Our signature phrase, “Because I’m Worth It”, is meant to inspire each and every woman to embrace her own unique beauty and reinforce her sense of self-worth. As the biggest beauty brand in the world, L'Oréal Paris has an unparalleled commitment to technology, research and innovation, providing groundbreaking, highquality products for women and men of all ages and ethnicities. The L’Oréal Paris brand encompasses the four major beauty categories – hair color, cosmetics, hair care, and skin care – and includes such well-known brands as Excellence Crème, Total Repair 5 hair care, Youth Code, Fall Repair, Revitalift, Volume Million Lashes Mascara, Colour Riche lipsticks, Superliners and True Match foundations among many others. L'Oréal Paris truly believes that, whatever your age, gender, ethnicity or look, "You're Worth It".